Are you on the hunt for an exceptional truck or van for your personal life or business? 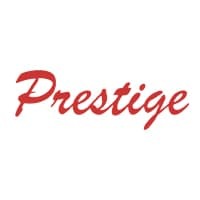 Come on down to Prestige Chrysler Dodge Jeep Ram in Longmont, Colorado to take a look at our selection of Ram 1500 trucks, Ram 2500 trucks, Ram 3500 trucks, and ProMaster vans. We guarantee these vehicles work as hard as you do, and our sales team can help you find the exact right match from our selection of Ram upgrades and available Ram models. Come see our family-owned Ram dealership in Longmont, CO today! You’ll find everything you need in your Ram buying journey at Prestige Chrysler Dodge Jeep Ram. The team of professionals at our Longmont, CO Ram dealership is committed to helping our customers find a great deal on a Ram truck or van, from our regular Ram specials to our financing department. We even offer competitive Ram lease options, so you can easily afford the newest and boldest Ram models around. Give the team a call to schedule a test drive of an iconic Ram pickup truck, Ram commercial truck, or Ram cargo van today.